When you’re in the kitchen, a scale’s a scale, right? Well maybe. Once you start really cooking, beyond just reading a box or bag, you realize that recipies are written in a language which is a lot like the one you speak, but different, and that good tools are essential to get the job done. The Joseph Joseph TriScale is one to add to your arsenal. 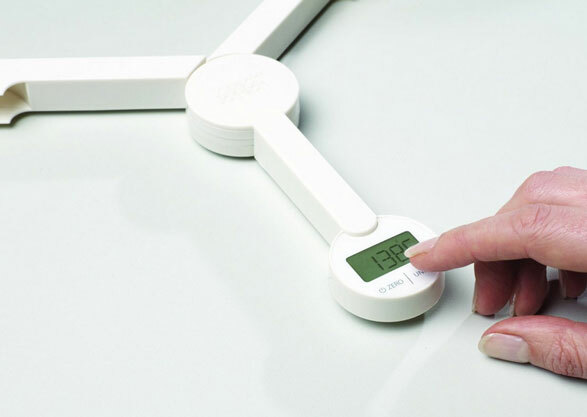 This neat product not only features the usual stuff like weighing, but can also handle additional measurements. So you can add the ingredients to a bowl one at a time for your cake, and not have to remove one, before putting in the other. This makes for real time saving when it comes to getting your meals ready for the ravenous marauders to arrive. However the best part about this device is that it’s super space saving. Kitchen supplies take up a lot of space. You need like 20 different spoons and spatulas and stand mixers are the most gigantic things ever. And let’s not even talk about how much space a pasta press takes up. With all the supplies, where you going to cook at? 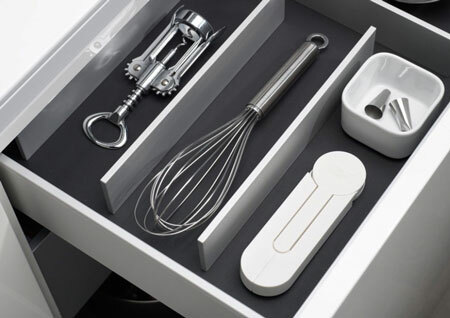 Well this folds up and slides into a drawer all nice and neat, so that’s at least one thing you can easily get out of your way when you’re done using it. The Joseph Joseph TriScale is $21.42.